Keitarou Itsuki is a high school student unhappy about the menacing look of his eyes. 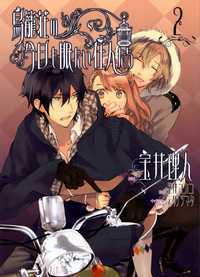 Keitarou tries to confess to the girl he likes, Aoi Tokujira, but she rejects him flat out. Thinking that his eyes were the reason why she rejected him, he confides in his older sister about it at her salon, who helps by giving him a complete makeover...as a pretty girl! Forced to head home like this, he runs into Aoi in town, but she doesn't recognize him and thinks he's a somewhat manly girl. Before he can leave, Aoi asks him to help her overcome a problem she's had for many years: an intense fear of men.